Take Your Worship Guitar Skills To The Next Level In ﻿Only﻿ 10 Minutes A Day! *When you sign up for the Free 7 Day challenge you'll also receive our value packed newsletter and exclusive subscriber only promotions & discount offers. We all know that in order to get the most out of the worship experience we need to be prepared. However it’s not just your parts that you need to prepare which is why I’d like to share with you the 5 essential things that you need to prepare in order to take your worship guitar playing to the next level. Now you’d think that this one is obvious, but over the years I’ve seen so many musicians rock up at rehearsal, not knowing their parts or the song structure. In fact, I’ve been guilty of this myself many times before. However I think it’s really important to have a professional attitude when it comes to this, by taking the time to learn both the song structure and your parts before you get to the rehearsal. A rehearsal really shouldn’t be used to learn songs, so be respectful of your other worship team members by learning your songs ahead of time and always striving for excellence in that regard. That way you can use the weekly rehearsal to practice other important things like flow and free worship because you’ve already learned your parts and the song structure ahead of time. Now, in some instances the worship leader might only release the songs on the day or maybe change the set list at the rehearsal or they change the key of a song. 1. Just roll with it and know that you’re there to serve so be flexible and adaptable if any last minute changes arise. 2. You can take some time and discuss this with your Worship Leader by letting them know, if it’s at all possible to get the songs ahead of time, you’d be able to prepare better which will have a positive effect on both your rehearsal time and the worship on Sunday. Just pay attention to how you phrase this so that it comes from a place of wanting to help and serve. As a guitarist you need to have your tone dialed in for a couple of reasons. The better you sound, the better your playing will be. It’s that simple. Now if your tone is uninspiring it can have a negative effect on your playing, because you’ll be fighting your tone instead of working with it. Having your tone dialed in also makes it easier for the sound guy to raise your levels in the mix because they know what to expect from you sonically. Make sure your amp and pedals are dialed in right to work with your specific guitar and pickups. Know what your different pickups sound like and use them accordingly. Spend some time dialing in the right EQ on your amp and make sure your pedals are dialed in right for your specific guitar and amp. And if you’re using different patches make sure that your volume levels are consistent across the different patches and pedals. These are the basics when it comes to dialing in your tone but it makes a huge difference in your playing. Remember that it’s not about having the latest and greatest gear, it’s about knowing how to use what you’ve already got. That’s just good stewardship. Now this one is huge. It doesn’t matter how good your playing is, if you don’t understand the true heart of worship then you’re missing the whole point. If your heart is in alignment with what God is doing and wanting to do in your local church then your playing will have a much greater impact because it’s not about the music but about the heart of worship. Be intentional when you’re preparing and playing, by spending some time digging into what it really means to have an intimate understanding of the heart of worship. One of the best ways to do this, is to regularly spend time worshipping on your own throughout the week. Remember that we can’t take the congregation to a place of worship that we haven’t been to ourselves. It’s important to know and follow the song structure, but even more important than that in my opinion, is having the ability to flow during worship. 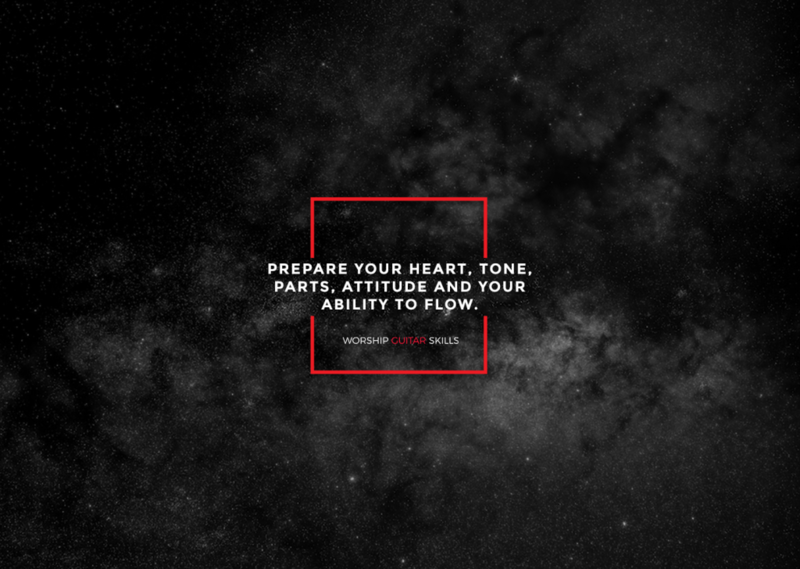 Now of course, this comes with practice and experience but a couple of things you can do to prepare and develop your ability to flow, is to find the balance between being responsive to what God wants to do during the worship set and working on your skill level so you can facilitate the flow as it happens. This is done by listening to what the rest of the band is doing and supporting a delicate moment or specific direction as it happens. Now if you feel the spirit prompting you, you need to be able to respond accordingly. That can be done through a simple repeated melodic phrase you play that a vocalist can catch on to and then use that melody for some prophetic declaration or maybe you’re playing a rhythmic thing that the rhythm section can latch onto and then develop that into something that inspires the whole band. I’ve used both of those approaches by either leading with an idea that the rest of the band picked up on, or I supported a specific melodic or rhythmic idea that was already happening. Make sure that you practice flow and that is best done with other musicians as you engage in a time of free worship. The important thing is to be ready from a skill level so you can facilitate the flow as and when it happens. Playing in a worship team is not always easy because you’ll be working with a range of different people with different personalities and varying levels of skill and experience. Just remember, that even though the music and the performance side is important, even more important than that is the attitude you have when it comes to serving in your worship team. Having the right attitude will promote unity in the team and as we know, God commands a blessing where there is unity. This all needs to come from a place of love because as 1 Cor 13:1 says, without love we’re only a noisy gong or a clanging cymbal, just an annoying distraction. So make sure you’re approaching everything you do from a position of love. Also, be present when you’re on stage, smile and connect with people in the congregation. That means not having your head stuck into your charts or continually fiddling with your amp and pedals. 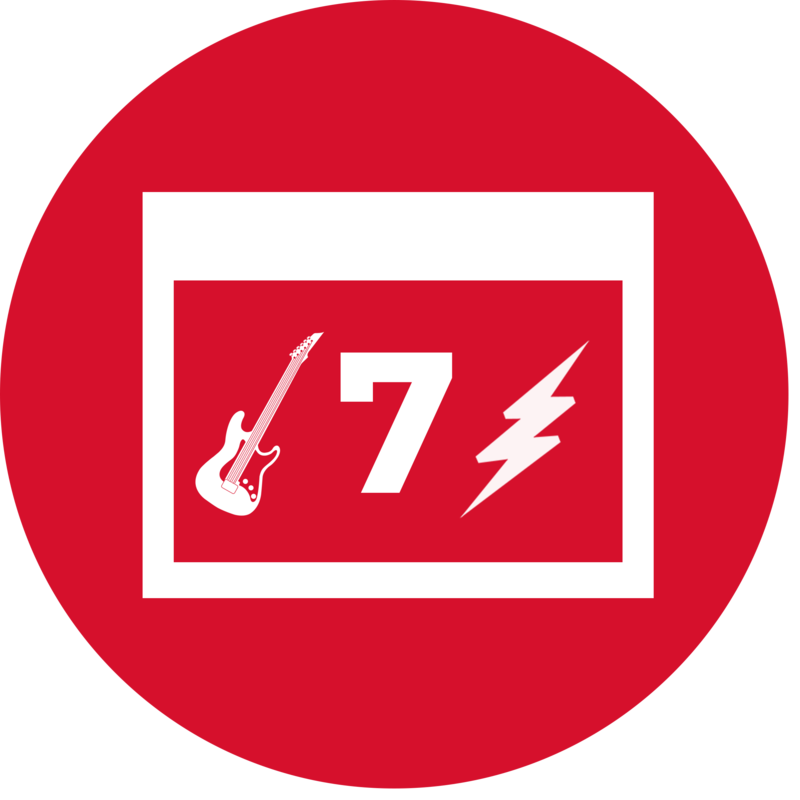 Sign Up For The FREE Worship Guitar Skills 7 Day Challenge Today! 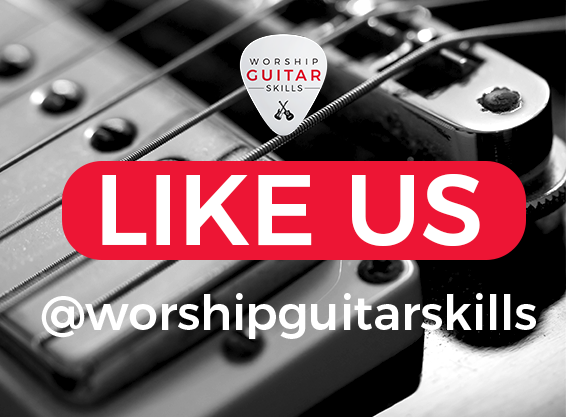 Take Your Worship Guitar Skills To The Next Level In Only 10 Minutes A Day! Hi, my name is﻿﻿﻿ Charl Coetzee﻿﻿﻿ and playing guitar was never second nature for me. I’ve had to work hard to get to where I’m at today and I’ve learned some incredible things along the way that I’d love to share with you. I’ve never had a proper job and I’ve been playing guitar for a living since I’ve left school. I have a Bmus Hons Degree in music, and I’ve interviewed and learned from the world’s greatest guitar players like Joe Satriani, Buddy Whittington, Joe Bonamassa and loads more. Copyright 2018 - Worship Guitar Skills. *When you sign up you'll also receive our value packed newsletter and exclusive subscriber only promotions & discount offers.